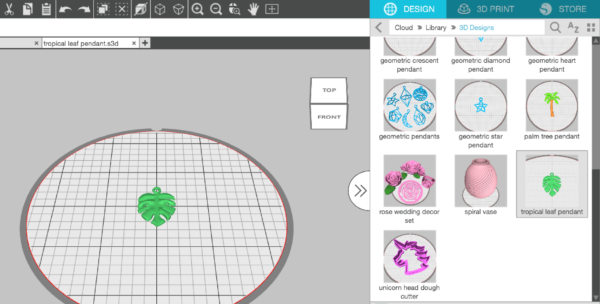 In this tutorial, we’ll walk you through how to print a design with the Silhouette Alta® and turn the designs into earrings and a pendant. 3. 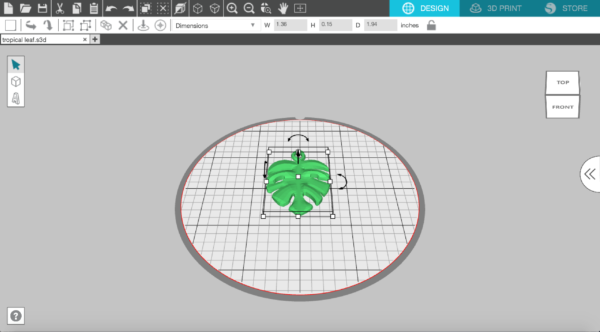 Open the Tropical Leaf Design (Design ID#269301) in Silhouette 3D™. 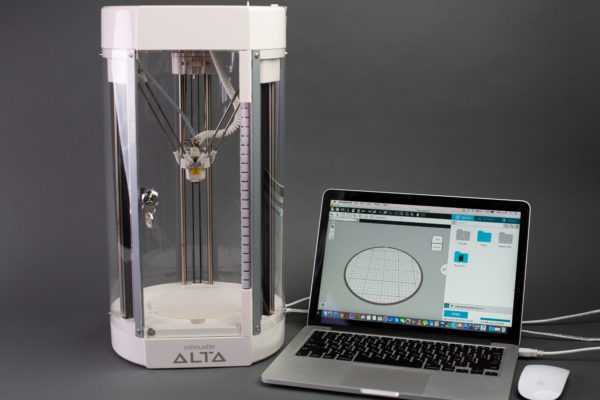 All downloaded 3D designs for the Alta can be found in your Library in the 3D Designs folder. 4. 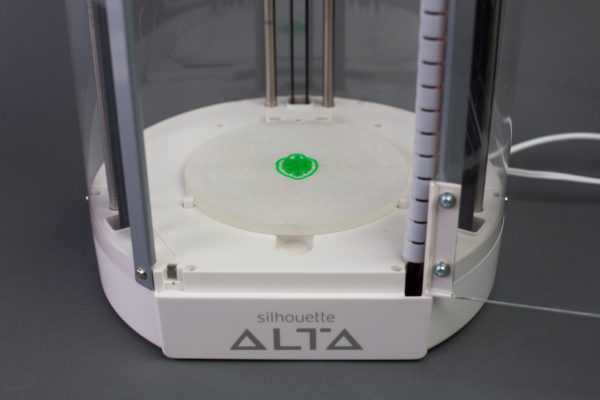 Go to the 3D Print tab, and for your Print Quality, chose “High quality.” In this tab you also can see the status of the Silhouette Alta® as well as the estimate of the filament length in meters needed to print and an estimate of the total printing time. 5. 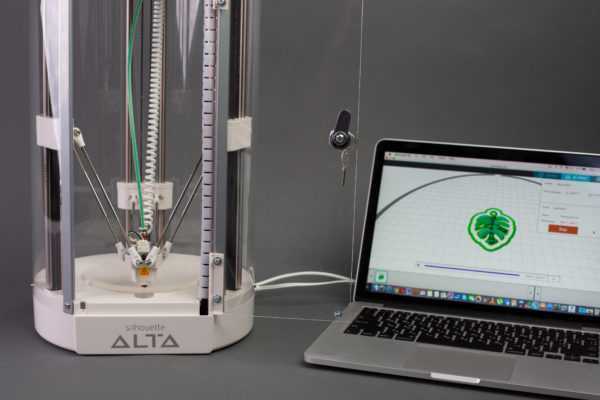 Load the filament in your Alta 3D printer. 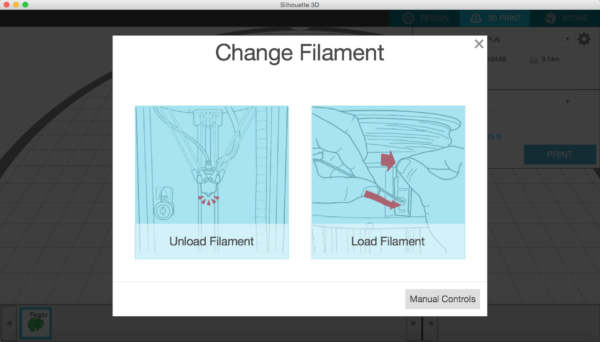 In Silhouette 3D™, click on the Filament button. 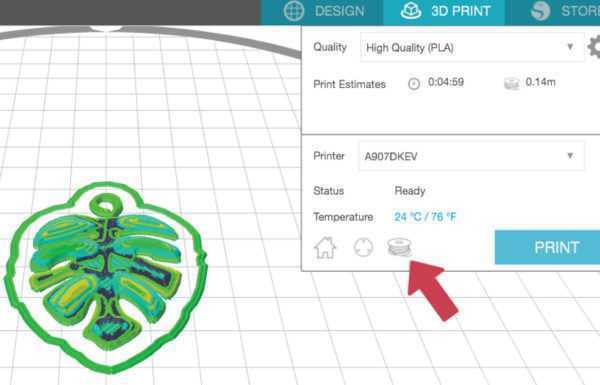 Next, click on Load Filament. 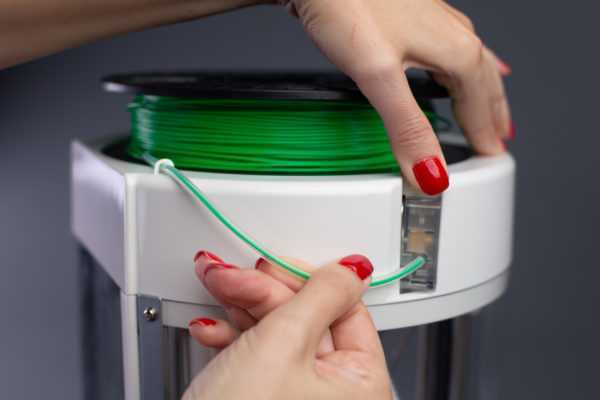 Go through the following steps to load your filament properly: place your filament roll on top of your machine, feed the filament through the eye and then the filament tube, press the tab on the filament loading lever to open the hole where you insert the filament, then release the tab and then press Load. 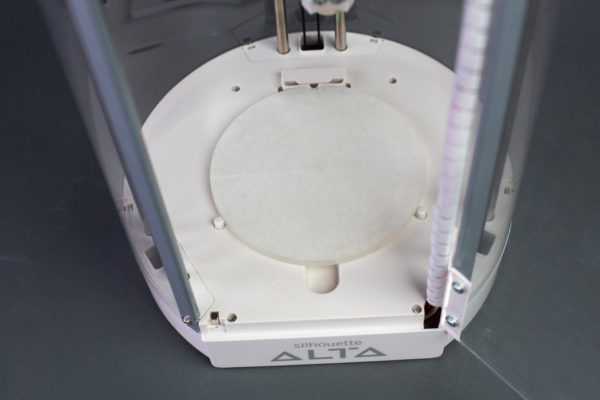 The machine will feed the filament through the inner print tube and heat up the print head. 8. 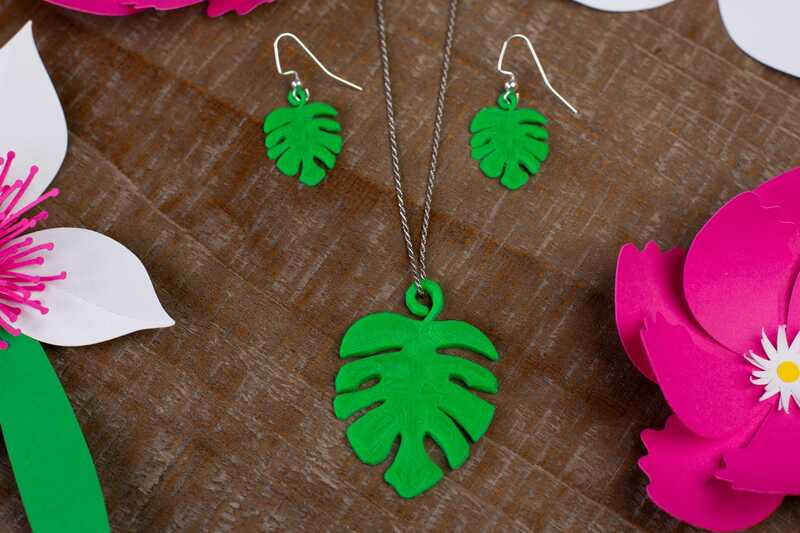 Repeat the same process to print the second leaf to complete your earrings. 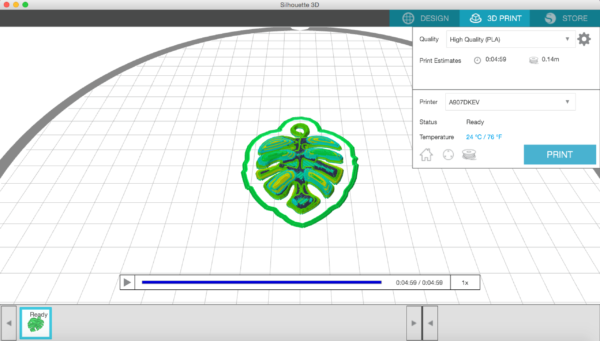 Enlarge the leaf design in the Silhouette 3D® by dragging corners of the selected shape until the shape is approximately 1.36 inches x 0.15 inches x 1.94 inches. 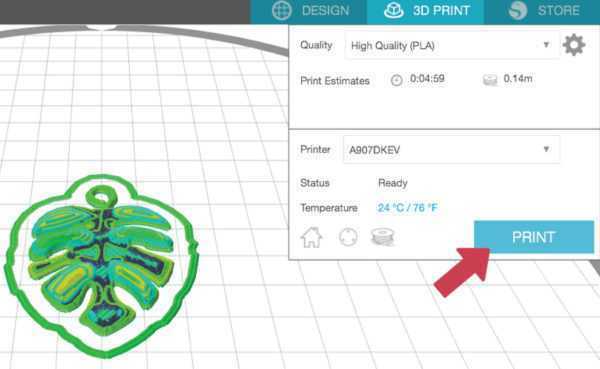 Then proceed to print that leaf. 1. 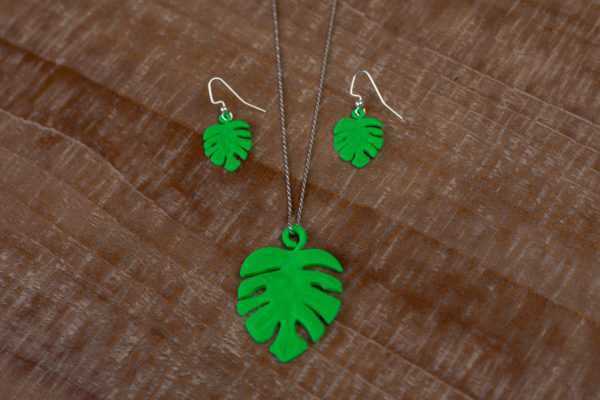 Using hook earrings, assemble the leaves and the earrings. 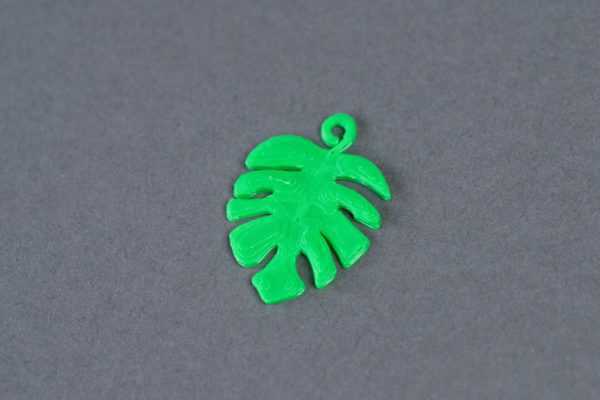 Put the pendant on a chain or leather cord. And that’s all you need to do! 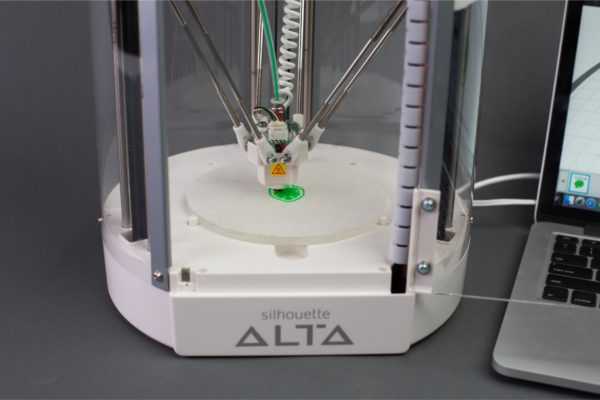 It’s really simple to print 3D designs using the Silhouette Alta®.